UPDATE: The first episode of the show has now been made available and can be seen in the player below. 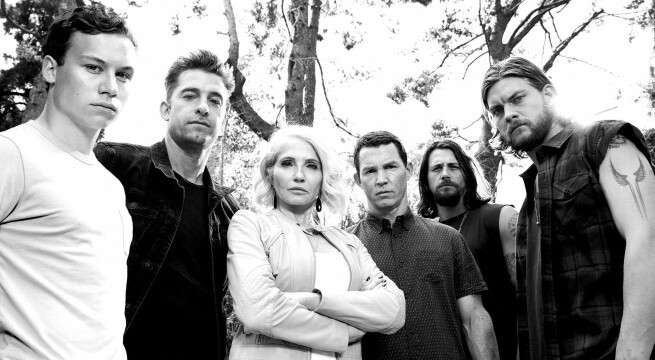 Next month, TNT will debut the highly-anticipated first season of Animal Kingdom, based on the critically acclaimed film of the same name. Set to tell a complex, riveting story, the series will focus on a crime family that balances the delicate line between outlaw and affluent. Led by a manipulative and ruthless matriarch, the story explores the unexpected character depth found within each member of the family. Now that the Codys have taken hold, SoCal will never be the same. Don’t believe us? Just check out the adrenaline-filled trailer below and watch as Ellen Barkin gives a powerful performance as matriarch Smurf, who looks to be an incredibly complex and enthralling character. Already drawing comparisons to both Sons of Anarchy and Fargo, there’s no doubt in our minds that the explosive Animal Kingdom is going to be one of televisions must-watch shows this Spring when it arrives with a 2-hour series premiere on June 14 at 9/8c.